Who wants that flawless silky, smooth and long hairs? The answer to this question is that yes everyone of us wants it no matter what. But sometimes it becomes hard for us to get the long and shiny strands to flaunt or look stylish. Many ladies are fond of long tresses but just because some or the other hair problem they are unable to get their desire fulfilled. It may be just because of diet problems or some kind of environmental causes that if effects your hair growth. 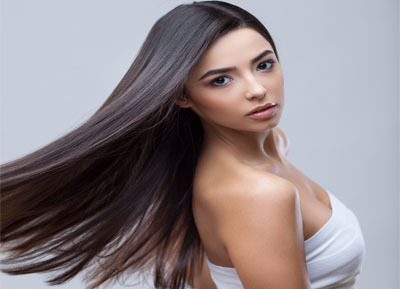 So, the hair experts have come up with the unique solution for the women whose strands are unable to show any kind of improvement even after using many hair products or who doesn’t want to go for hefty treatments of extension or do not want to carry any clip-in extensions. It actually comes with an adjustable invisible, plastic made and flexible headband which gets adjusted on your scalp and it cannot be witnessed by anyone because they get hidden under your own hairs and you can move out freely or do any exercise or even go for an outing it will remain intact at one place. It can also be washed, trimmed or curled even and is so easy to put up as it mixes up with your own natural hairs and make it look more bouncy and effective too. Many companies manufactured the branded secret hair extensions which are made up of keratin conditioned fiber which is smooth enough and adjusts with every hair type without causing any scalp problems and gives your locks a stunning look when you wear them and moves out with your friends and family. You may be having any natural hair color these extensions are nearly available in every brighter or darker hue to match up your strands. The main colors include dark brown, light brown, black-brown, medium red brown, light or dark blonde to complement your own natural growth and you can just wear them and it features like a real thing. So you can just move with them girls and give yourself a graceful look. Want to be at your best when going out for an official. Every single advertisement on your television says love your hairs and we. Do we all want those fizzy and tangled hairs? No, not at. When you have a head full of curly hair the heat can. Many people believed that changing one’s hair color and/or covering is as.